While the tourists focus their cameras on the all-too-familiar Amazon, the adventurous photographer in you will want to be deep in the Pantanal, South American’s other ecological treasure that is seldom traveled. This is the land where the continent’s most iconic animals still live protected and in some abundance: the panther, elusive, beautiful and a glory moment in your photographic life; the anaconda, the true king of snakes; and the giant river otter, the largest in the world. It’s only fitting that these large species live in the world’s largest freshwater wetland, encompassing 68,000 square miles of central-western Brazil, eastern Bolivia and eastern Paraguay. By comparison, the Pantanal is approximately the size of Oklahoma, Missouri or Washington State. It is 10 times larger than the Florida Everglades. The Cuiabá and Paraguay rivers feed this immense area, flooding it annually with seasonal rains, followed by a dry season (but still with many open waterways), which is the best time to spot and photograph jaguars. Because the Pantanal includes a number of ecological niches: river corridors, gallery forests, perennial wetlands and lakes and seasonally inundated grasslands and terrestrial forests, it is the home to an enormous diversity of fauna. These include 80 species of mammals, 650 bird, 50 reptile and 400 fish. Here is where Jabiru stork, heron, ibis and ducks come in huge numbers to breed. Be ready with your camera to capture the 26 species of parrots, including the hyacinth macaw, the world’s largest parrot. Your trip won’t be complete without photographing just some of the thousands of varieties of butterflies as well as Capuchin and Howler monkeys, capybaras, toucans, caiman and tapirs. To put yourself in the best position to photograph the extraordinary beauty and abundant wildlife of the Pantanal, you must travel and be accommodated right on the area’s river systems. Now, you are truly on a one-of-kind adventure, as you become a resident of the jungle and wetlands, allowing you and your camera to be totally immersed in the timelessness of this place and the natural behavior of the animals living there. 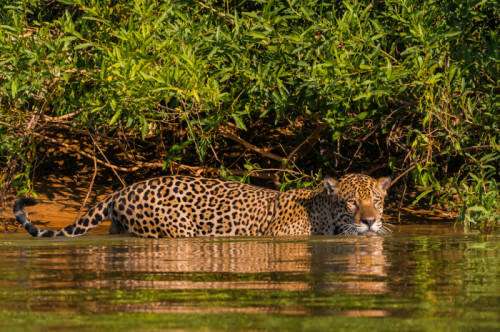 VisionaryWild, one of PhotographyTalk’s longtime vendor partners, has a space waiting for you for its Jaguar of the Pantanal II Expedition/Workshop, August 30–September 8, 2013. The first Jaguar of the Pantanal Expedition/Workshop was so popular that VisionaryWild added a second. Six photographers will work closely with Daniel Beltrá, who received the 2011 Wildlife Photographer of the Year Award and Prince’s Rainforest Project award from a grant from Prince Charles. Daniel has photographed often in the Amazon and many of the world’s wildest places. Justin Black, co-founder of VisionaryWild, is your host and will also guide workshop participants with his extensive experience as a well-known landscape photographer. His images have been published in National Geographic Adventure, Sierra and Outdoor Photographer, among others. During the first part of the Jaguar of the Pantanal II Expedition/Workshop, you’ll be staying on the river in the SouthWild Jaguar Flotel. You’ll have more than 30 hours in small boats, exploring the river and its banks for jaguar sightings and the opportunity to photograph this magnificent cat. For the final three days, the expedition moves to SouthWild Pantanal, which provides access to a unique combination of animal species and landscapes. Again, you’ll take to the river in small boats and also shoot from two wildlife observation towers. Throughout the expedition/workshop, there will be time for in-depth discussions, critique sessions and next-day preparations. With the first Jaguar of the Pantanal Expedition/Workshop from VisionaryWild sold out, the second week is sure to fill quickly, as there are only 6 spaces available. 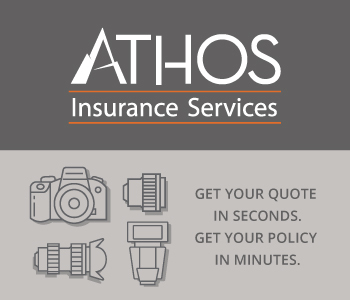 It’s an experience that will sure to be the highlight of your photography portfolio...and your life. For complete information and to reserve your space, click here.